Remaining steadfast despite their history of hardship, the Hakkas are traditionally thought of as a people without a homeland of their own. Taiwan’s mother tongue revival movement of three decades ago sparked a growing sense of ethnic consciousness among Hakkas. Amid the swirling currents of democracy, they have striven to gain respect. 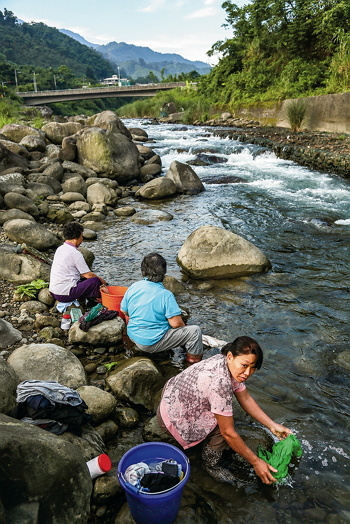 Hakka studies first emerged as an academic disci­pline in Taiwan in 2003. In the 15 years since, the discipline has produced prodigi­ous and varied fruits that have both shaped localized forms of ethnic studies and, through international exchanges, raised the profile of Hakkas by staking out a place for Hakka studies in the international academic community. “Who am I? Where do I come from? Why am I called a Hakka?” That web of mysteries is what first sparked research into the ethnic group. After a series of conflicts in Eastern Guang­dong from the 19th century onward, in which the Han ethnicity of Hakkas was disputed, Lo Hsiang-­lin (1906‡1978), a historian born in the late Qing era, strove to resolve numerous questions about the history and origins of Hakkas. He embarked on a meticulous investigation, making inquiries within the Hakka community to gain understanding of Hakka migrations. Thus began the discipline of Hakka studies. “Hakkas find their ethnic identity in cultural constructs,” says Hsu Cheng-­kuang, former head of the Institute of Ethnology at the Academia Sinica. “Opinions govern conclusions,” says ­Chang Wei-an, former dean of the College of Hakka Studies at National ­Chiao Tung University, who won a Hakka Contributions Award in 2017. They thus sum up scholarship about Hakkas in Taiwan. “Lo Hsiang-­lin’s views about Hakkas were very much a product of their time,” says Lin Cheng-­hui of the Academia Historica, who holds a doctorate in history from NTU. Lin believes that Lo’s research into Hakkas was rooted in the group’s experience with stigmat­iza­tion: It was Lo’s hope that academic theories could bring legitim­acy to the ethnic group and highlight their many strong suits. In sociology, the separation between ethnic groups is a matter of historical and cultural identification. And the sense of ethnic identiy among Taiwan’s Hakkas has long not been delineated by blood alone. The Hakka Basic Law adopts a practical definition: So long as one is of “Hakka descent” or has “Hakka origins” and one identifies as a Hakka, then one is regarded as a Hakka. Language is a carrier of culture, and it is also an essential element of ethnic studies that is inextricably tied to a people’s history and fate. 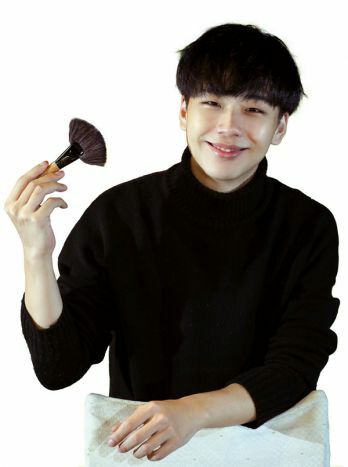 “In Taiwan you can find every kind of Hakka accent,” says Hsu Cheng-­kuang, who grew up in Liu­dui, Kao­hsiung. “But it wasn’t until I went up north for university that I learned that there were different Hakka accents.” ­Chang Wei-an, meanwhile, cites an interesting historical anec­dote: “During the Japanese era, Taiwan’s Hakka dialects were mistaken for Cantonese.” It was only after the Japanese armed forces sent Hakkas to work as interpreters in Guang­dong (Canton) that they discovered that the languages were completely different. The preservation of Hakka language has always been a focus of Hakka movements, and the language is an important component of the ethnicity’s soul. 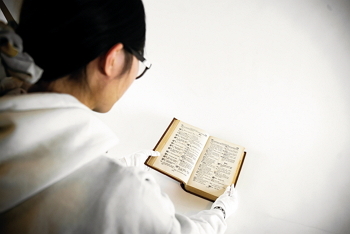 “The first Hakka dictionary was written by a foreign missionary.” Deeply committed to the continued vitality of Hakka, ­Chang Wei-an discovered and photo­graphed a Hakka pronunciation chart at the Basel Mission headquarters in Basel, Switzerland. 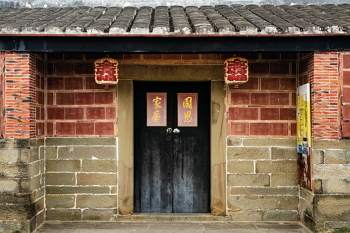 That society of missionaries is believed to have been the first to establish a presence in Hakka communities in Guang­dong, and it made important contributions to preserving and reviving Hakka culture. 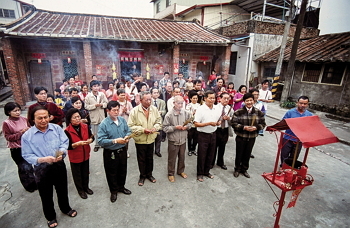 The dictionary is a good demonstration of the close connections between Christianity and Hakka culture. In Christianity and Hakka Culture, edited by ­Chang Wei-an and ­Chang Han-pi, a professor in the College of Hakka Studies at National Central University, the authors have collected essays about Hakka culture by Christian clerics, opening innovative avenues for Hakka research. Among these works, one by Zeng ­Chang-fa, chairman of the Hakka Mission Committee of the Presbyterian Church in ­Taiwan, argues that saving the Hakka language is a mission of the highest urgency. The Hakkas, by Chen Yun­dong, which won an award from the Ministry of Education for its “outstanding contribution to promoting native languages,” makes an even stronger case for the importance of native languages. These academic works, which are responding to a sense of crisis, have become important references for government policy makers. Amendments to the Hakka Basic Act, which took effect on January 31, 2018, made Hakka an officially designated national language. Hakka-­language radio stations, such as Hakka Radio, Formosa Hakka Radio and New Hakka Radio, as well as the Hakka E-Learning Center of the Hakka Affairs Council, are important mainstream promoters of the use of Hakka. These institutions have made major contributions to promoting the widespread use of Hakka as a spoken language, bolstering a sense of Hakka identity, and igniting a latent sense of Hakka consciousness. 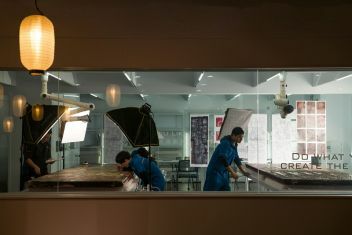 “The places they have lived and the customs of those places are all reflected in Hakka culture,” says Hsu Cheng-kuang. 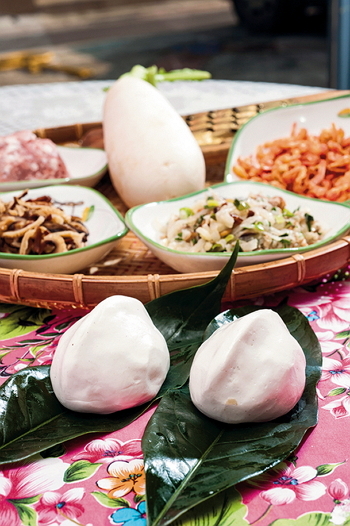 It is a Hakka custom to make pickled veget­ables: During harvest season, they pickle some of the crop to preserve it, thus extending the time that it can be consumed. They cherish the land, making the most of their environments. Aware of the hardships of being poor and displaced, the Hakkas put a lot of emphasis on the education of the young, hoping to leverage knowledge to change their fortunes for the better. “People of quality are loyal subjects and filial children; they work the land and study, to maintain their families from generation to generation”—these are principles that Hakkas have traditionally taught to their children and grandchildren. “It’s worth considering,” says Hsu Cheng-­kuang, taking a new tack, “that you can only pull up stakes and move your family long distances with a certain level of economic power.” “It was with the support of the church,” notes ­Chang Wei-an, “that whole families were able to move to Sabah, Malaysia.” It was only after having first made living arrangements and lining up work that they would collectively leave for a new place and embark on new lives. 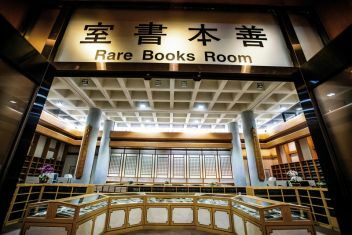 The library of the Hakka Culture Development Center holds a copy of A Chinese–English Dictionary, Hakka Dialect, compiled by the Reverend Donald MacIver and first published in 1905. The scope of one’s vision determines the depth and breadth of one’s research. “Beginning with National Central University in 2003, academic institutions in Taiwan have established Hakka studies programs one after another.” Typically organized as colleges within universities, these academic institutions use specialized theories and scientific methods to undertake multifaceted explorations of the Hakkas. Public-sector support has also significantly assisted in bringing Hakka research into the global mainstream,” says ­Chang. Established for 17 years, the Hakka Affairs Council has held Global Hakka Cultural Meetings, Leadership Council of Overseas Hakka Groups conferences, and World Hakka Conventions. It is committed to maintaining bonds of friendship with Hakka communities everywhere. With regard to passing on the legacy of Hakka culture, academic research databases have made a contribution that shouldn’t be overlooked. Global Hakka Studies, which ­Chang edits, serves as a communication platform for those interested in global Hakka research. With no limits in terms of geography or era, the journal, via exchanges about academic research and community experiences, collects the latest inside information about Hakka studies. Academic institutions also regularly bring scholars together to share research results at conferences. Last year, on November 13‡15, the College of Hakka Studies at National ­Chiao Tung University held the 2018 International Conference on Interdisciplinary and Transnational Hakka and Ethnic Studies, which attracted scholars from Korea, Japan, Thailand, Indonesia, Malaysia, and New Zealand. 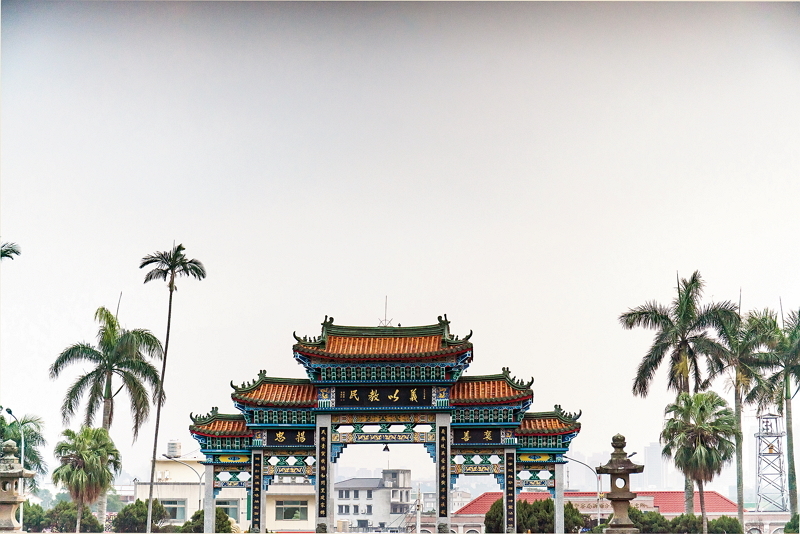 From a focus on the special concerns of Taiwan Hakka studies, the Consortium of Global Hakka Studies has expanded its scope to introduce perspectives from new fields and cross-disciplinary studies. Its many and varied research achievements are on a scale worthy of a global Hakka research center. The burgeoning field of Hakka studies is being nourished by powerful streams and attracting strong scholars to plow its fertile soils.